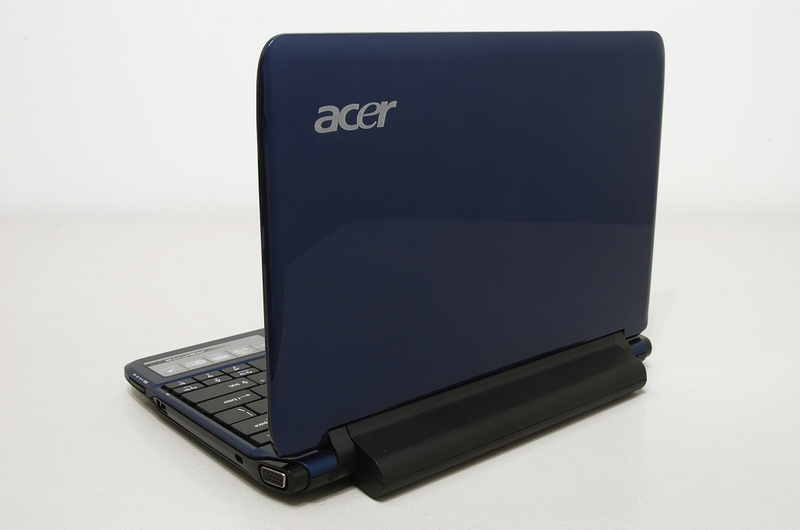 With regards to overall form and function, Acer did a nice job with the 751h. You will notice some reflections and glaring in brightly-lit environments due to its glossy screen, but that is a small price to pay for this beauty. 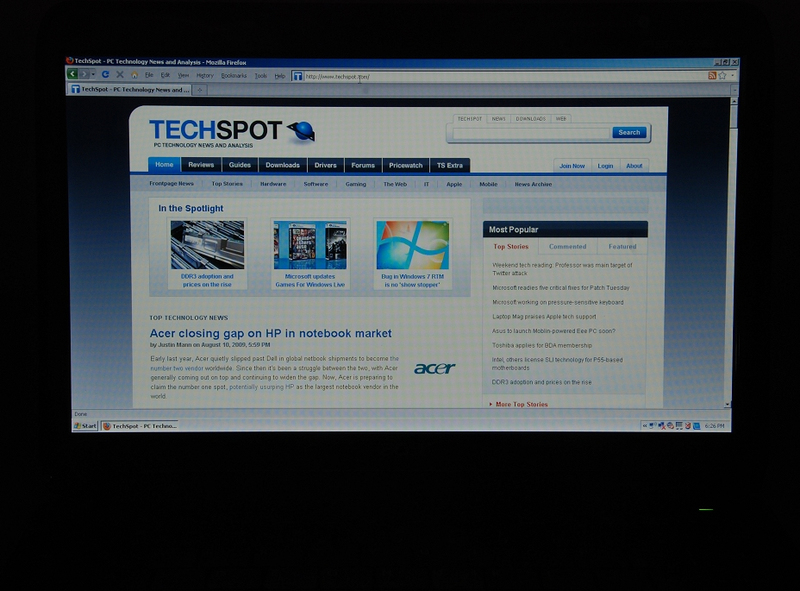 As was the case in our netbook roundup, the Aspire One has a fantastic LED backlit screen that is a joy to work with. Colors are crisp, text is sharp and the 1366 x 768 resolution is amazing. Vertical viewing angles could be better, but then again, you just need to tilt the screen and the problem is eliminated. Horizontal viewing angles are pretty decent too, making this by far the best netbook screen I have used to date. By including a larger display Acer also managed to fit a full-sized keyboard on the 751h -- and I wouldn’t want it any other way. Using flat-top keys is a bit different than the standard concave keys but the learning curve was minimal. Once you get accustomed to it, typing feels natural and all of the common mistakes that occur when using cramped keyboards on smaller netbooks become a thing of the past. 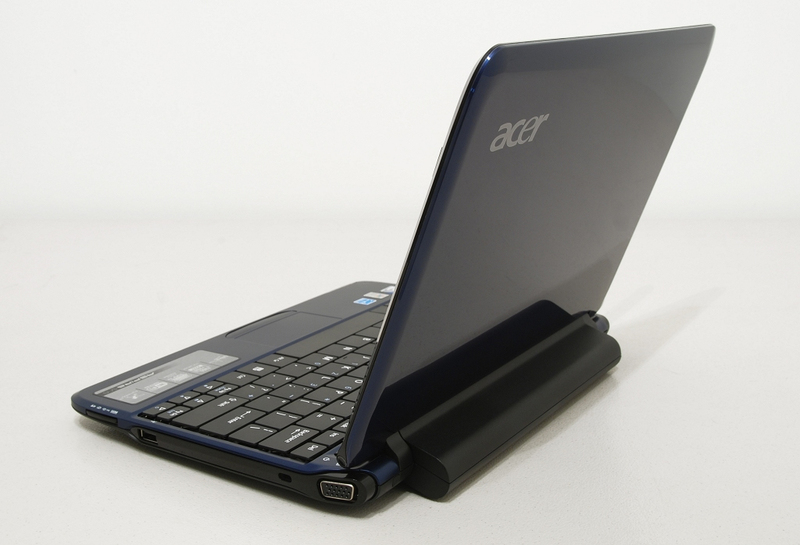 Another area where the Aspire One excels at is battery life. A full charge with the screen at half brightness, Wi-Fi disabled and sitting idle at the desktop was good for 7 hours and 58 minutes. This trumps our previous best performer, the Asus Eee 904HA, by nearly three hours. Speaker quality was pretty decent and fell within the middle / upper-class range of netbook speaker systems I have worked with. That said, given the downward-firing speaker configuration, sound quality diminishes noticeably when using the computer on soft surfaces like a bed or your lap. 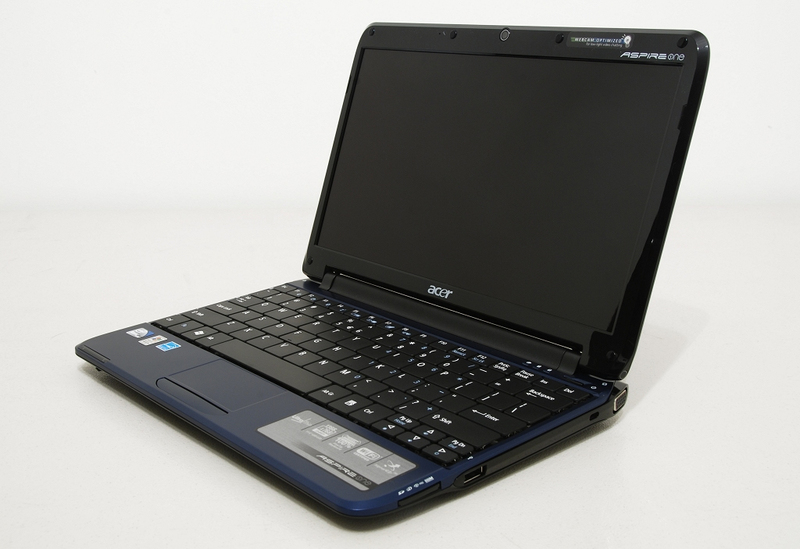 As much as we liked the overall package of the 11.6" Aspire One 751h, it isn’t perfect. Bluetooth connectivity was noticeably absent on our review sample. Also, while Acer did the right thing by moving the mouse buttons below the touchpad, we would have liked to see individual buttons rather than a single large one. The current solution works well once you get used to pressing the button in the far right or left corner for the corresponding button, but individual buttons would have been better. I’m still undecided if going with the slower 1.33GHz Atom Z520 is a pro or con. On one hand, it contributes to the improved battery life, while on the other performance is rather limited on netbooks already, so you want as many clock cycles as you can possibly get. For what it's worth, the system didn't feel slower or more sluggish than the original Aspire One and other Atom-based netbooks I have tested, but then again, the benchmarks show there's an obvious disadvantage. Perhaps the most critical task where the difference in speed could be felt is in movie streaming/watching, but honestly we can't blame Acer for the CPU choice as we know it's a restriction put forth by Intel for mobiles that are larger than 10 inches. 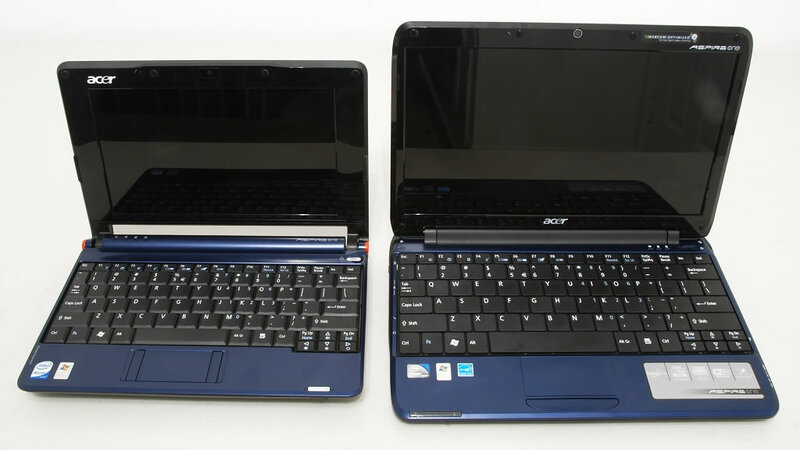 The Acer Aspire One 11.6" (751h-1192) is currently selling for $350, so pricing is competitive, too. 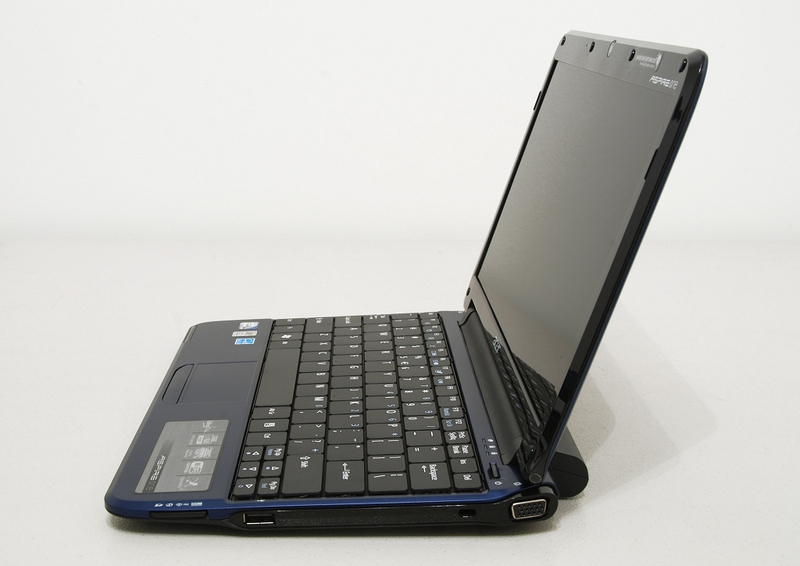 Despite having some negative marks against it, this is one of the best netbooks I've tested mostly due to its large screen and full-size keyboard; and at roughly 3 pounds it is still convenient to carry around. If you are looking for something with a bit more room than last generation netbooks, this certainly deserves some attention. Pros: 11.6" LED screen, 1366 x 768 resolution. Combination of 6-cell battery and slower Atom processor provides great runtime. Full size keyboard. Good size touchpad. Cons: Single button for two-click mouse. Lacks Bluetooth. Bundled software was excessive (bloat). Slower 1.33GHz Atom processor. Single memory expansion slot.